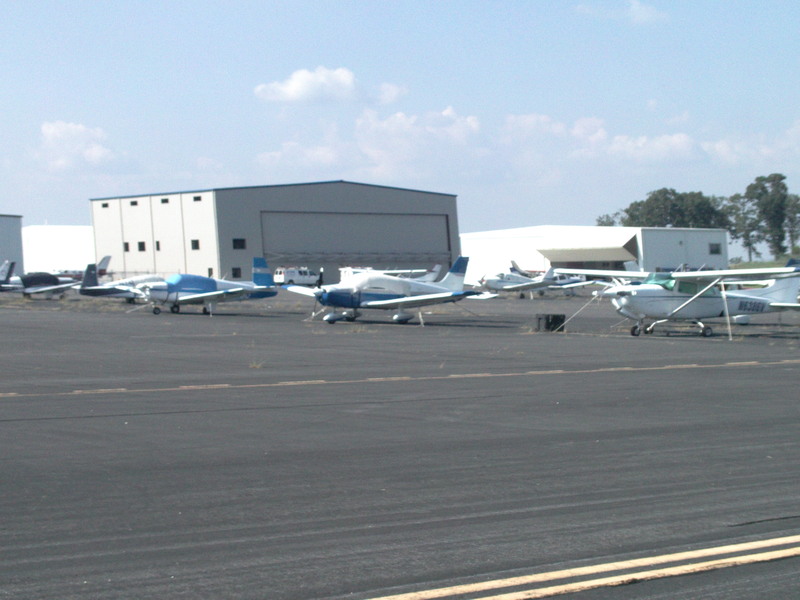 Today, I left North Triangle Airport at 2:00 pm and flew to Kinston Airport on the same cross country route that I flew with David last week. The winds were pretty calm so the flight was essentially smooth with some afternoon bumpiness under the fair weather clouds. I took a few pictures to document the trip. 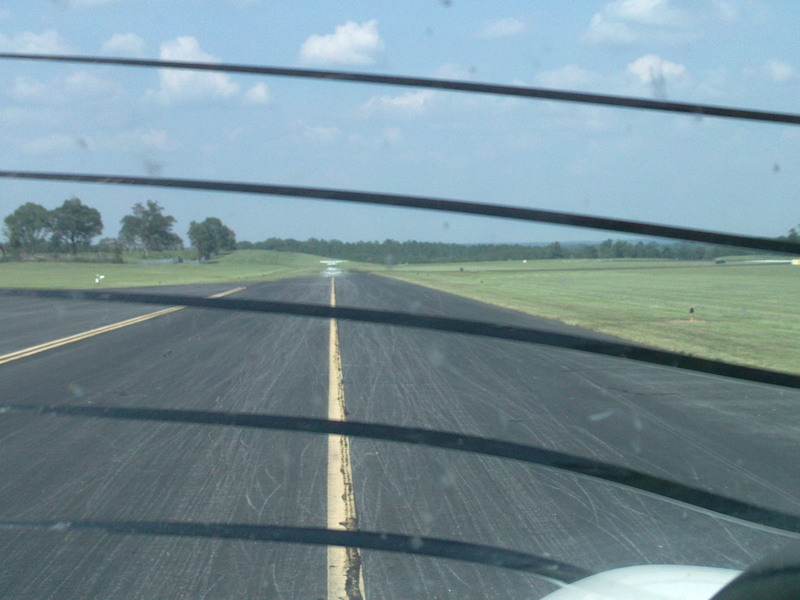 First, taxiing to Runway 23 at North Triangle. 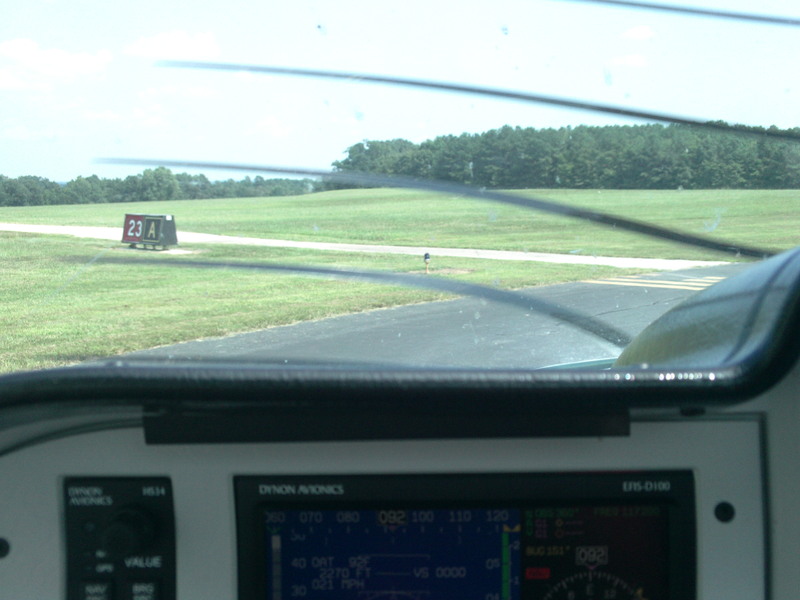 Next, performing my pre-takeoff checklist at Runway 23. Flying over a huge junkyard that we use as a landmark en route to Kinston. 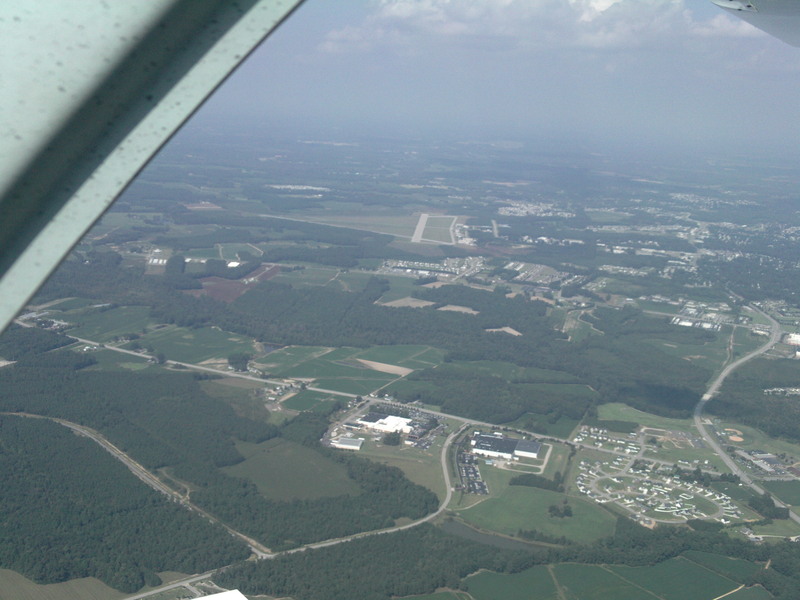 I made 3 full stop landings at Kinston and then returned to North Triangle. 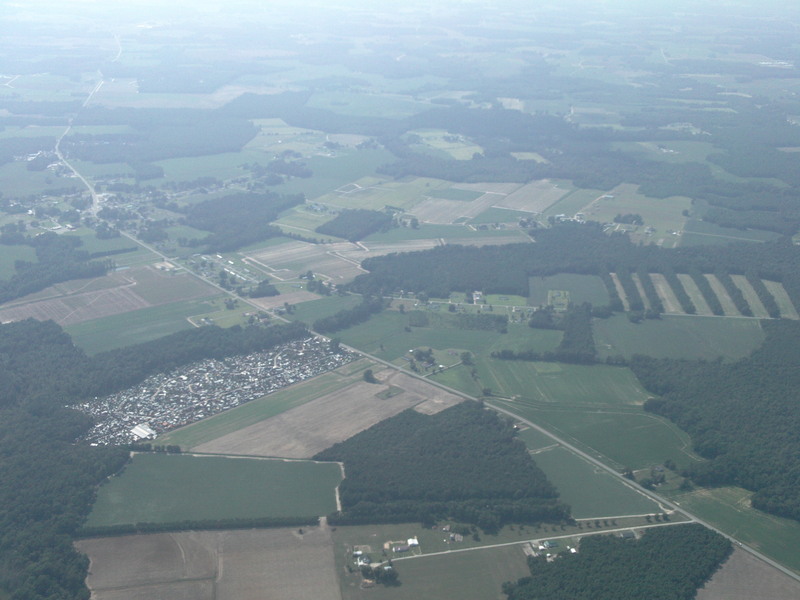 We pass Wilson Airport on the way down and back. Wilson was used as a training base during WWII and has 3 huge runways forming a triangle. Now, it is basically deserted. Finally, the ramp at North Triangle taxiing back to the hangar. I did much better on my radio communications with Raleigh Approach, Washington Center and Seymour-Johnson Approach. However, I will definitely put the doors back on before my long cross country. It wore me out more worrying about my papers flying out into space than actually flying the airplane. What’s next? David said to plan a cross country to Cape Fear, Fayetteville, and back to North Triangle. That’s more than 3 hours in the air.